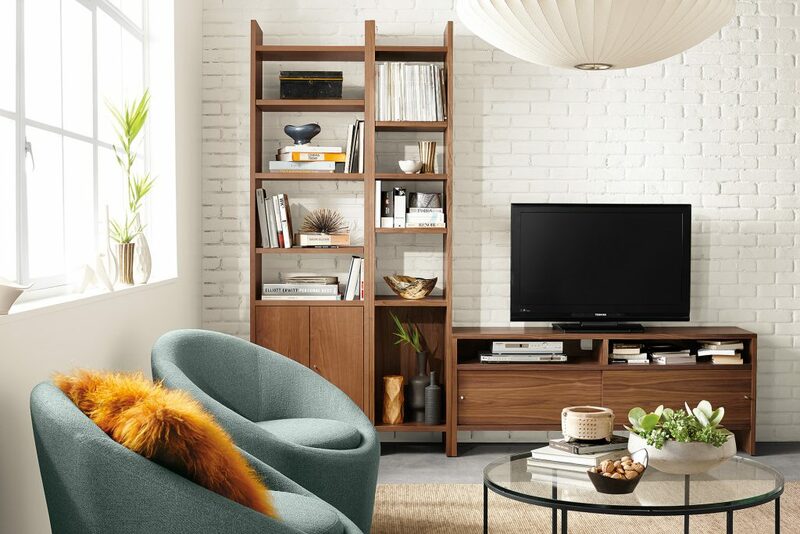 Choosing the right media storage piece for your room can seem overwhelming. That’s where we come in. We’ve got solutions to fit your space and style. 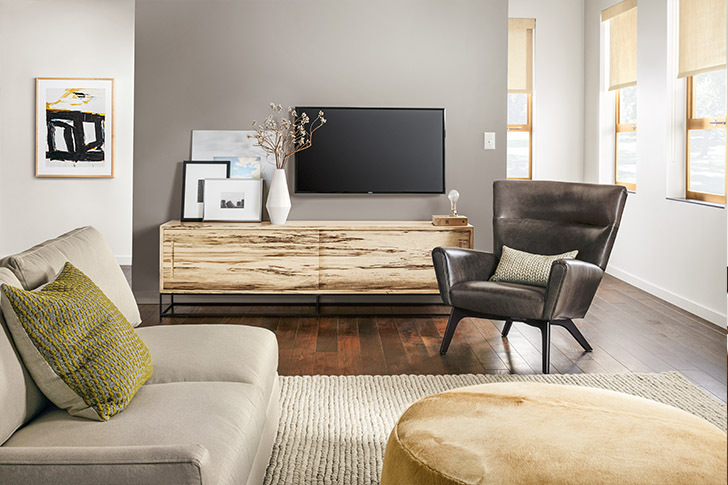 You’ll love how all of our media storage seamlessly integrates into your space, even as screens get bigger and electronics get smaller. Read on for tips on how to choose the perfect one for your home. Finding the perfect media piece starts with two factors: the size of your television and the size of your room. 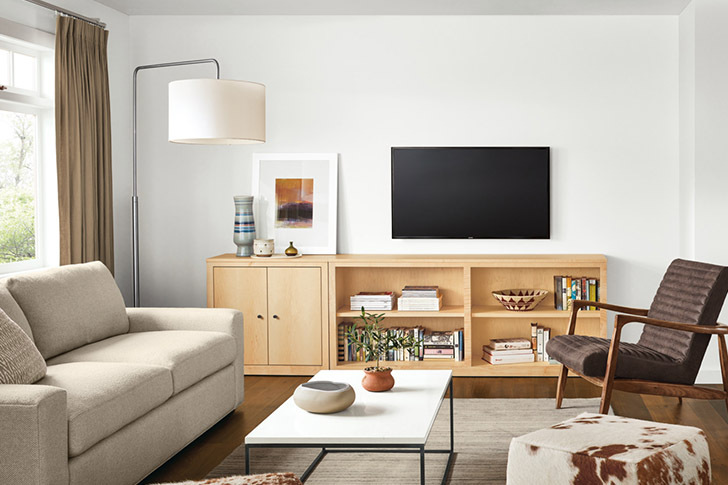 All of our media pieces can handle the weight of most TVs sold today, but you’ll want to consider the dimensions so your piece looks proportional. A general guideline is that the TV should be no more than two-thirds the length of the cabinet. Then, think about where cable outlets are located and how that impacts where you can place the piece in your room. If you want a cabinet with doors, consider how much room you have to open them. If it’s a tight fit, sliding doors are a great solution. Look at your current electronics and plan for the future. Will you add a cable box (or get rid of one)? 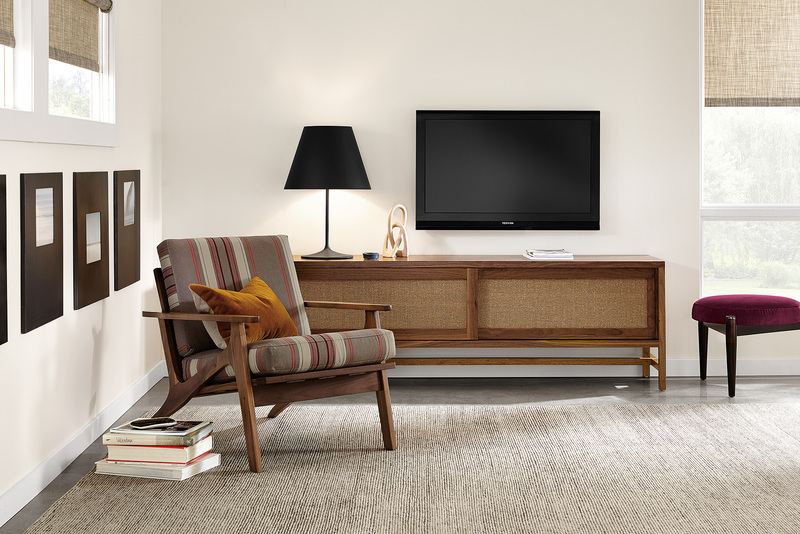 If you’re going to put speakers or a sound bar inside of your cabinet, choose doors with a perforated front, like Berkeley shown below, that won’t muffle your music—and won’t block your remote control. Choose open shelves if you want to have easy access to all of your equipment. 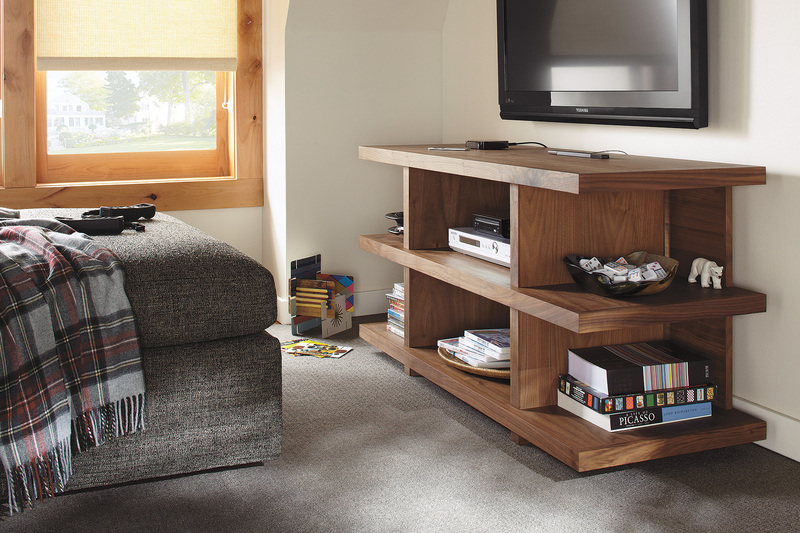 Adding decorative pieces helps the television blend into the rest of the room. Use artwork to create a gallery wall surrounding the TV. Place vases or lamps on the media center to soften the look. Books add color and downplay the look of the components. Find more ideas in our inspiration gallery or get in touch with a design associate for free design services!